Do you remember that abandoned excitement you had on Christmas Eve in anticipation for Christmas morning? Do you remember the giddy elation you felt night before you were going to marry the man of your dreams? Or how about the fear of the first day of school or a new day on the job? 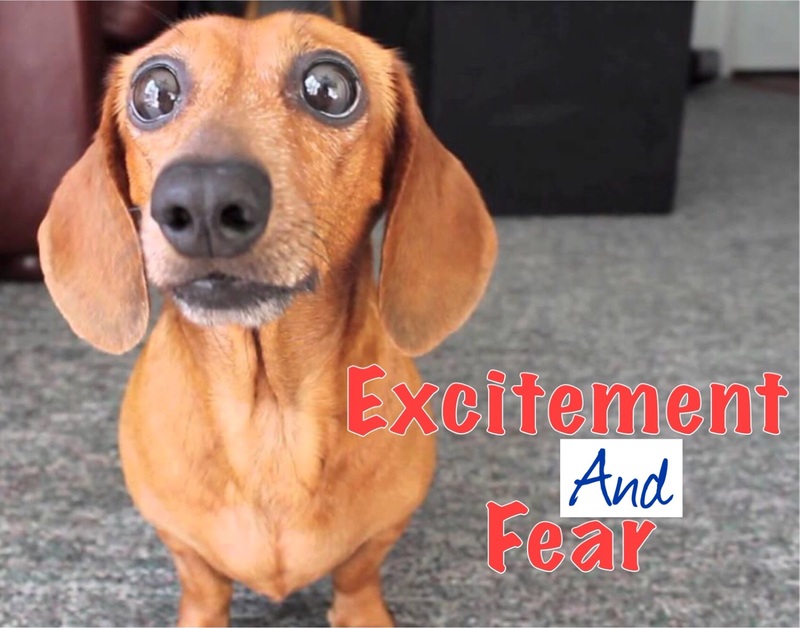 Often it can be both, a mix of fear and excitement. I know Mr. Nine and I are feeling this way about building our forever dream home. Your heart races, you feel butterflies flapping wildly in your gut, your breathing intensifies, you feel a sense of heightened sensitivity as your eyes widen and you limbs quiver with anticipation.Fear or excitement? It’s both. The only difference between fear and excitement is the way you think about it. In a couple days, I am going to meet 10 blogging world ladies in Toronto that I have the ultimate respect for, they have become a tribe of sorts; supportive, sweet, non-judgmental, hilarious and giving. I'm excited and I'm scared. I've never done this, never talked with sweet peeps for a year or two via print only and then see them and converse with them in the flesh! Crazy. Exciting. Scary. WONDERFUL!!! I hope you don't mind but I plan on taking a little blog break this week. Don't worry, the Fashion Files Link-up will still be going on come Wednesday. 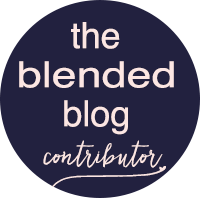 I just want to enjoy some side splitting laughter and fellowship with my Blended Blog sistas!! 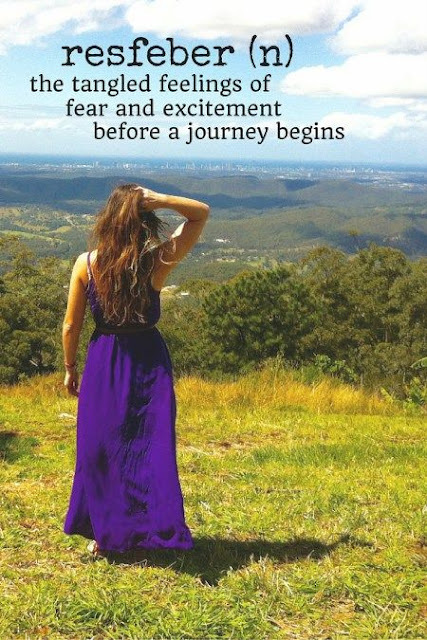 What makes you feel Excitement and Fear all at once? I'd love to know. SO exciting! I can't wait to hear all about your visit! Enjoy yourself! When money is no worry then the sky is the limit, baby doll! Enjoy all your excitement!!!! Eeeeeeek! Have so much fun! I can't wait to hear all about it! I understand the house thing, we've considered doing the same but haven't committed yet, I am so excited for you though.And the kitchen you posted on Friday is my dream kitchen - I totally forgot to mention that the other day. I can't wait to hear and see all about TBB visit! What an exciting week! How exciting!!! Can't wait to hear about it!!!! You will do fine, Girl! You got this! And they will love you as much as I do!! Hope you have a wonderful start to your week! So exciting! Can't wait to read your recap! Enjoy! Have so SO much fun Andrea!! I'm sure it will be an absolute blast! Enjoy!! I hope to one day build our forever dream home. I think that must carry a lot of pressure when you know this is it. It's going to be so fun watching your progress and then you'll be a pro by the time it's my turn and can hold my hand😉 I'm so excited your meeting your blogging buddies. I totally get the nervousness though. I often think it would be so fun for those of us that have our little comment and supportive community together to do the exact same thing, but I know I'd be nervous too. Real life is different from virtual life. I'm quite sure you'll have a great time and be a shining star. Enjoy your blogging break and I'll be looking forward to your return and hearing all about it. Have FUN sweet girl!!!! What a fabulous time you're going to have, Andrea!! Eeeeeeek that is so exciting and terrifying at the same time! I know you will have a blast though, I can't wait to hear about it! I cannot wait to hear about this trip!! I'm so happy for you that you've made such wonderful friendships, and they are all such cool ladies to boot :) Safe travels, my friend! Enjoy every single second!! Have a great time!! I can't wait to hear all about the trip! I can't wait to hear all about it!! You are going to have so much fun!! Looking forward to it. I'm not nervous now, but I'm sure I will be as I walk up to the hotel. Going to be a great weekend! My parents went through the same thing when they were building their dream home, and I think that they would say that it was worth every single bit of worry that you'll have because it'll all turn out in the end. And meeting up with fellow bloggers can always be a little nerve wracking, but trust me, y'all will be talking like the old friends that y'all are in no time! Have such a fun time, Andrea! I can't wait to hear all about it. Enjoy you little break from blogging, too. Much deserved!! Happy Monday! Sounds like so much fun!!! Have a great time! That's so exciting! Being able to customize your entire home will be super fun. Have a great time in Toronto! Three more days! Can't wait!! So excited for you! Enjoy meeting up with these wonderful ladies and enjoy a well deserved blogging break! How exciting for the meet up!!!! I hope that you have an amazing time and I cant wait to hear all about it!!!! I AM SO excited for you, Andrea! Don't be scared! I bet y'all have the best time together! I hope to meet you in person one day!!! Oh Andrea, so many exciting things for you guys! I'm DYING to follow along with your house plans! Hubs and I built our house eight years ago and I'm already to build another one! It was SUCH a fun process. And you guys are going to have so much fun together!!!! I can't believe that you get to meet bloggy friends in real life! That is flipping awesome! I can't wait to hear all about it! You will be missed during your break, though! I'll have to follow along on IG! Have the best time. I can't wait to hear all about it. I have only met one blogging friend in person and I hope to meet more on my travels. Have a great week! So many amazing things happening for you guys! So excited for you! I know you will build the perfect home for your family! I hope you have the best time with other blogging gals -- it's seriously amazing to have blogger friends! Have a wonderful trip and enjoy seeing all those blog friends in person. Can't wait to read about it! Ah! Have so much fun!! I hope you have a lot of fun! When I am excited about something, I tend to think of negative things that can go wrong. I feel a need to "ground" myself and prepare for any disappointment. Not good, I know. So exciting! I had this fear a lot on blind dates and when I had my first blogger meetup. And when I moved to Texas, and when I moved back. Have so much fun, make so many memories and spread that love and kindness you are so full of! Perfect way to explain the feeling...we almost built our current home but found a model hom in the community with all the features we were looking for. It saved us that fear factor and I'm sure a ton of anxiety. I hope the home building process goes as smooth as can be. The end result will be worth all the mixed emotions finally have your dream home. The Toronto meetup sounds so fun!! I love that city. You ladies are going to have a blast and I'm sure it will be exciting meeting everyone in person. Enjoy your blogging break! I can't wait to hear all about the trip! Meeting bloggers is so fun. You will be a natural since you are so wonderful and sweet. Have the best time- can't wait to hear about it! That's the perfect way to describe the feeling. You know it will likely be great, but the fact that it is an unknown will always add a fear factor. You have a lot of exciting things happening but I know that they will all be wonderful. No use worrying or fearing things that may never come to pass. Have sooo much fun! 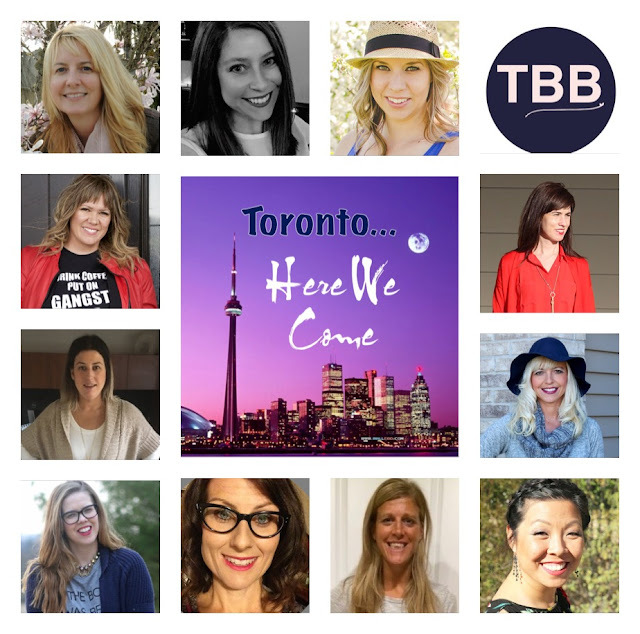 Is there a blogger conference in Toronto this week that your BB crew are headed to? One of the Houston fashion bloggers was on Instagram talking about how she's going to Toronto later this week. I'm excited/scared about my news that I'm sharing next week! It's good but definitely scary! I feel that giddy fear just reading this. So shy over here. While I wish I could meet everyone, I think this would really be tough for me. Can't wait to read everyone's recap and see all the wonderful pictures. Have a blast! How fun! You are going to have an amazing time! We love getting to spend time with other bloggers. It's such a great way to gain motivation and have a little fun while doing it. Can't wait to see you in 2 sleeps!!! I cannot wait!! I know just before I meet you all I will get those butterflies in my stomach but as soon as I see and hug your pretty face, all will be good and it will be like we have known each other For forever. So many people building homes right now, can't wait to see arch the process!!! So excited for you to build your dream house- what an amazing undertaking! And yay for meeting blogger pals- I love this! How exciting to be building your dream home!! Amazing. I am so jealous you get to hang out with all these other bloggers, what a fun time for all of you! Have a blast! Have a great time! I'm going to do something similar the September and I'm terrified! I'm visiting today from Happy Now Link Party. It doesn't take much to make me nervous! Lol! My husband is the exact opposite of nervous, so I guess you could say he is my rock. I hope y'all post TONS of pictures of your meet up! I am so jealous, would love to meet some of you that I know via your blogs! Congratulations, after the first few minutes you will be calm and poised and excited I am sure. Its the walking in the door that's the hard part. Have a great time. I ***HATE*** not being there! I know exactly what you mean because I had all the same feelings last year meeting the TBBers who went to LV! I know you will have such a blast. Send lots of pics!! What an exciting meet up! I am sure you will have a blast! Aww how fun!!!! I love that feeling you described! I hope you fabulous ladies have the best time ever!!! You are definitely on the top of my list of bloggers I hope to meet in "real life" one day haha so they are all so lucky to hang out with you! Safe travels xo! Sounds like such fun. What a long way to go for a meet-up though. Have a super time, missing you already!